These astonishing cylinder shaped high rise towers clad with subtle green glass are visible from the Bay Bridge as you approach the city. The building is a landmark of modern-day design in Bay Area. 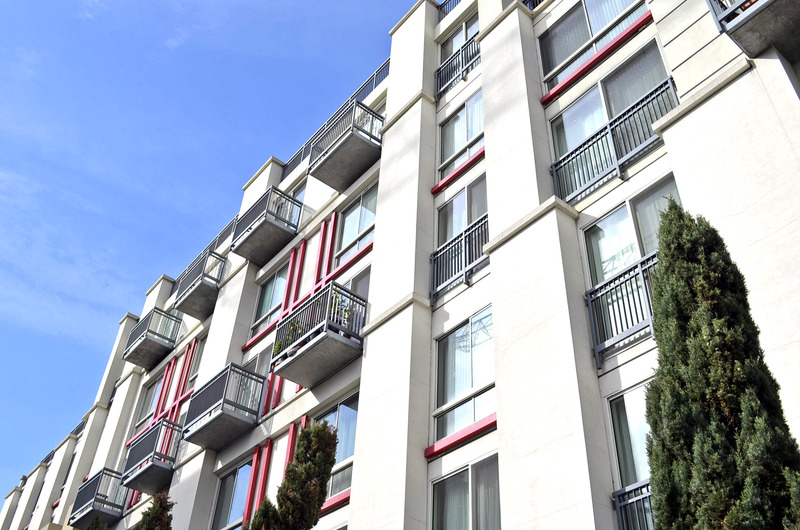 Bridgeview Condominiums have a gorgeous and coveted waterfront location in close proximity to the iconic Bay Bridge. The Watermark is the sleekest building in South Beach, rising 22 stories from the waterfront. The exterior features clean lines and an abundance of windows. Portside is a distinctly nautical-style condominium building that boasts railings akin to a cruise ship, rounded corners, and porthole-type accent windows. The Oriental Warehouse is an award-winning live/work loft conversion of a historic warehouse that was used as a distribution point for imports from the Orient.